On 5 September 2016, suicide bombers simultaneously exploded in the Syrian cities of Tartus, Homs, Damascus, and Hasakah. A car bomb detonated on a coastal highway in Tartus, killing more than five people, followed by a suicide bomber exploding in the crowd gathering in the area. A car bomb then hit a Syrian Army checkpoint in the Zahra district of Homs and killed two soldiers. 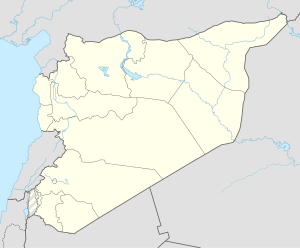 A motorcycle bomb detonated near an Asayish checkpoint in Hasakah and killed at least five people, with an explosion in the capital city of Damascus following soon after. Two explosions were said to hit a Russian naval base. ^ a b c "Multiple bomb blasts in Syrian cities kill at least 12". AP. 5 September 2016. ^ a b "String of deadly bomb attacks target government held areas in Syria". Middle East Eye. 5 September 2016. ^ "'38 feared dead and 50 injured' after twin explosions rock major Russian naval base". Daily Star (British newspaper).